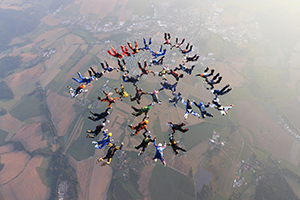 PUPS, or Parachutists Under Phorty Society, is a community for skydivers with a fascination for belly Bigways and age under 40. We want to create camps and events where the next generation of the bigway community can come together and learn from each other while also having fun. The first PUPS record in history will be a 39way, and the drawing of this formation have already been started. 39 is of course not a random number, but once this formation is done, we want to go as big as we can. We hope to reach 60, but we will not spend all available jumps to get a large record. We also have smaller sequential records that will be attempted, in addition to good safe funjumps. We are working hard to keep costs to a bare minimum for the participants. You only pay the price per jump, and for the 2019 season this is estimated at 33 Euro. There is also a small registration fee, and it will for sure no more than 150 EUR. There is also some extra costs for the jumps with oxygen. All details will be confirmed prior to the selection process starts. On this first event we want to set the standard for future events, so we have records we can break. We will go as big as we feel is possible in a safe way, before we focus on smaller sequential records. We plan on following the expected new rules of sequential records that require full separation between the formations. Klatovy is famous for their fantastic jumpships, with strong engines and fantastic pilots. For this event we will play with two of them, and possibly a third, but it might also be a super caravan to lift us on the largest formations. Some of the record jumps might require extra altitude, and all planes are therefore set up for Oxygen supply. We have the possibility to go to 18000 AGL and will use this possibility when we see the need for it. The DZ have an excellent routine for this, and we have routines that is proven, so there is no stress. First take off is at 0900 and we will be jumping until sunset, aiming for 5 jumps each day. It will be long days, but all you need is on the DZ and we will make sure you are hydrated and fed. The pool is also refreshing on warm days, so bring your towel. The grassy strip is 200 meter wide and stretches for one kilometer. It is huge, and you can land anywhere as long as you land safe. There are also lots of optional fields around the airport if it is needed. 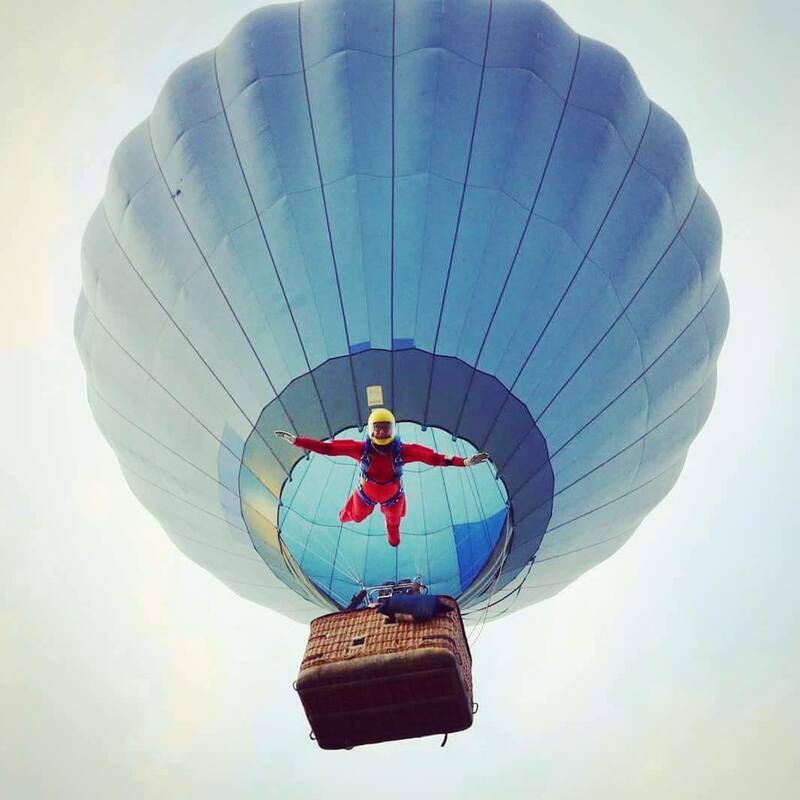 There might be possibilities for balloon jumps during the week, if it doesn't influence the other jumps. Brian and Ronny, two passionate belly Bigway enthusiasts will be on the ground assisting the Puppies with the preparation and adjusting the jumps. 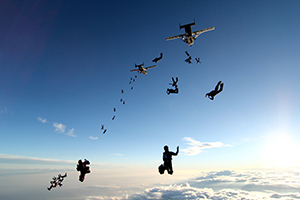 They will also jump with the Alpha team, or bench, that warm people up for the PUPS jumps. 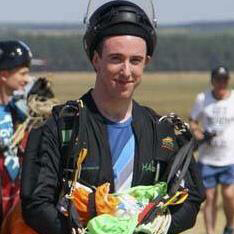 You can find me most weekends at Skydive Hibaldstow coaching and load organising. I coach from FS1 right up to 4-Way AAA both in the tunnel and the sky. I love coaching - it’s my passion. I love watching people progress and enjoy jumping. I enjoy being part of Bigways and I am so excited to be part of this fantastic team! I was previously a member of the Irish 4 way national team and have been involved in bigways for several years. Largest successful formation was a 3 point 217way. 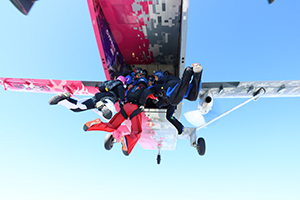 Many of my most enjoyable jumps are when we put a team of skydivers together and the quality of jumps improves with each skydive and the team working together. Along with a good friend, I organise regularly in Spain and love coaching at all levels. The idea of bringing young skydivers together for a PUPs event, is a great idea and I'm delighted to be part of the awesome team! 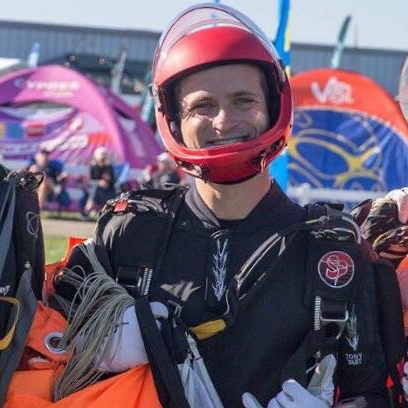 I have been seriously training and competing in 4way, 8way, 16way as well as participating in Large Formation Skydiving since 2015. I've been on the last 3 bigway world records and I regularly participate in bigway events around the world. When I'm not travelling i enjoy organising at my local DZ with friends. 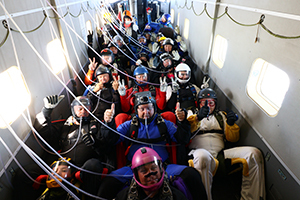 It is nice to be able to take skydivers with very different experience and engineer skydives that everyone can participate in. 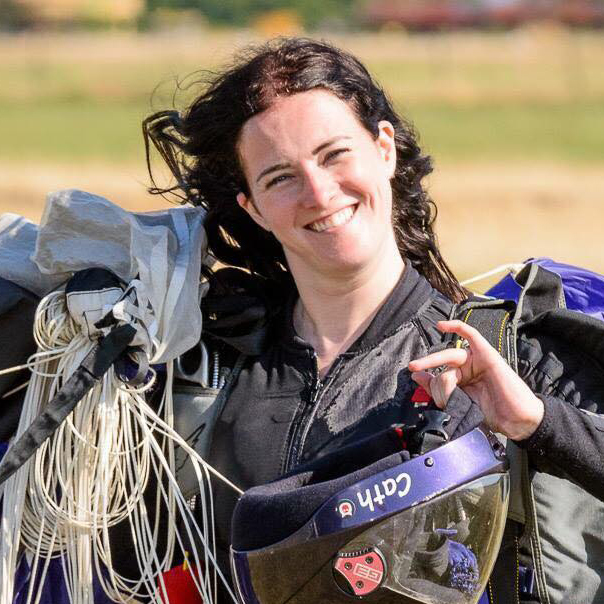 PUPS is a great idea for bringing younger jumpers in to the bigway circuit to ensure they have a great foundation of skills and get exposure to a form of skydiving that may seem daunting to enter from the outside.